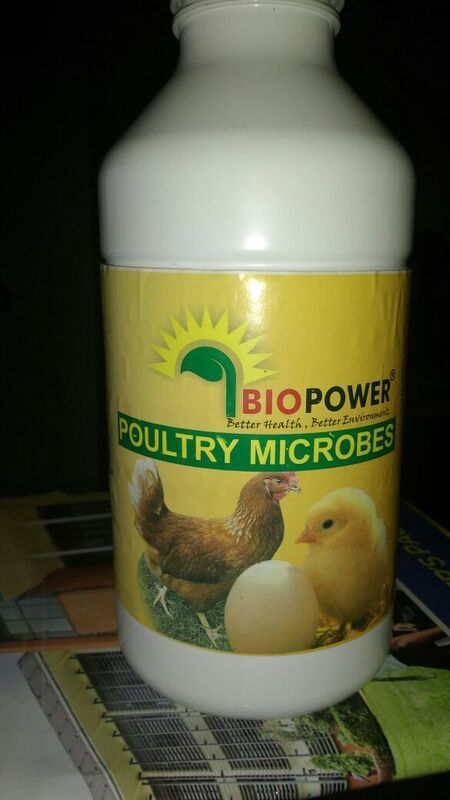 Biopower poultry microbes is a probiotic solution that is added to poultry (all birds) drinking water at a rate of 5ml per litre of drinking water. It helps to boost immunity, helps with digestion of feeds, increase laying percentage, faster growth for broilers, improve feed conversion ratio, eliminate smell in poultry housing. Biopower poultry microbes can be found in all veterinary shops in Uganda.